Once again good company with the things for everyone who works hard to be the best conversationalist they can. I also like the idea of Bunson taking over conversations with an actual Segway, zooom!!!! I don’t think folks would mind if he did that… as long as he didn’t do it too often! Thing 1 thought bubble: I need to control my mouth, I talk too much. What’s that percentage? 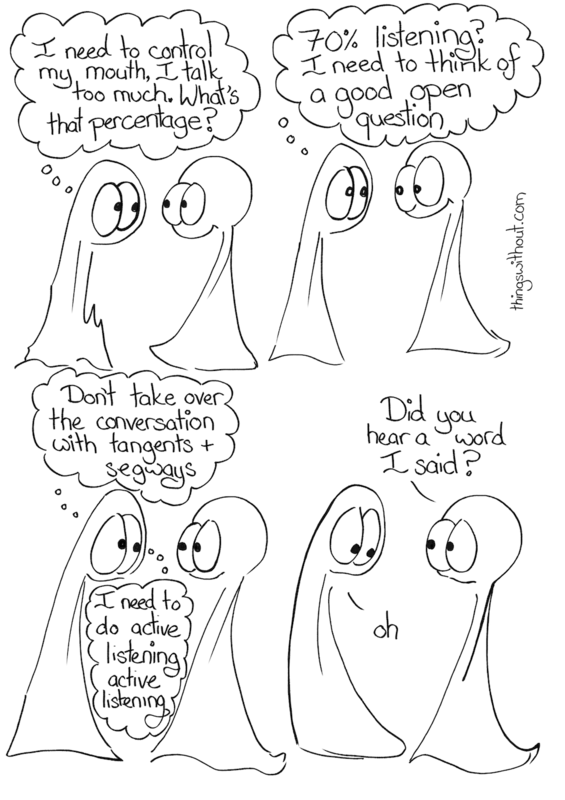 Thing 1 thought bubble: 70% listening? I need to think of a good open question. Thing 1 thought bubble: Don’t take over the conversation with tangents and segways. Thing 2: Did you hear a word I said?